Specialising in water pipe leak detection and water pipe location. Do you have a water leak that needs attention immediately? 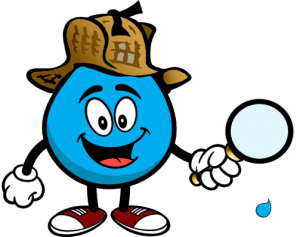 Do you need to find an expert to detect a water leak that you can rely on? Do you want a fixed price with no surprises? We totally understand! Welcome to The Leak Trackers. Brisbane’s premier leak detection company. We are the authority when it come to finding leaking water issues quickly. 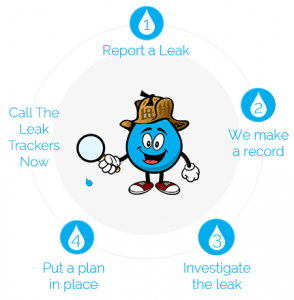 The Leak Trackers are your experts in detecting water leaks and our policy is that if we do not find the leak there is no fee. The Leak Trackers work on a fixed price. This means no surprises when it comes to the cost of our service. We pride ourselves on using only the latest state of the art highly proficient leak detection equipment. The Leak Trackers use the Aquaphon 200 which is a state of the art underground microphone that detects leaks quickly. Providing our customers with efficient, professional, speedy and accurate results pinpointing your leaks location and depth. Water leaks can be quite costly so why wait for an unnecessary water bill. The Leak Trackers have built a reputation primarily on word of mouth. We offer a friendly and professional service for each valued customer. The Leak Trackers do and will service anywhere in Brisbane metro. We service the Southside, Bayside and the Northside. We are also completely and fully insured. We have years of experience in this area of plumbing expertise. We service residential industrial and commercial water leaks. It doesn’t matter where you are in Brisbane don’t hesitate to call us for a top-class service. Mobile Eftpos and credit card facilities accepted. © 2019 | Website Managed By iShout Hosting.